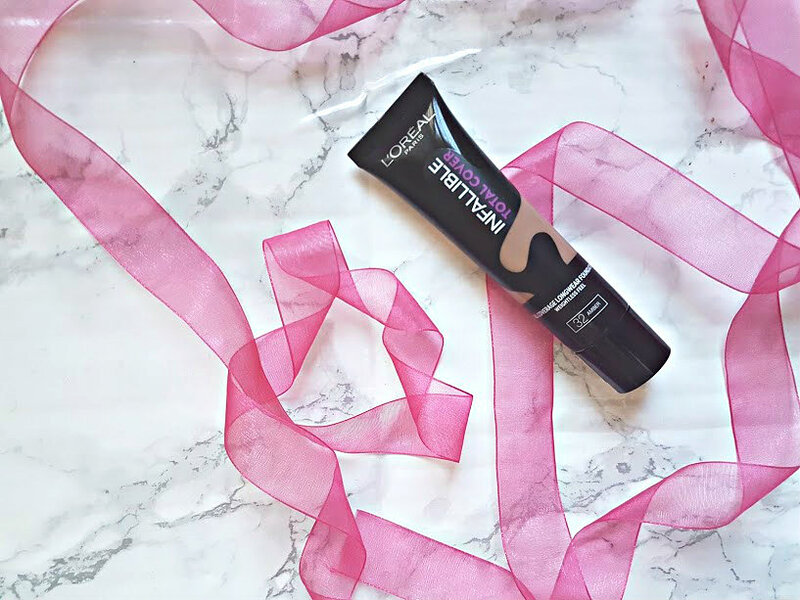 Its a bit L'Oreal crazy on the blog at the moment but they are killing it base wise and I just have to try and buy everything! 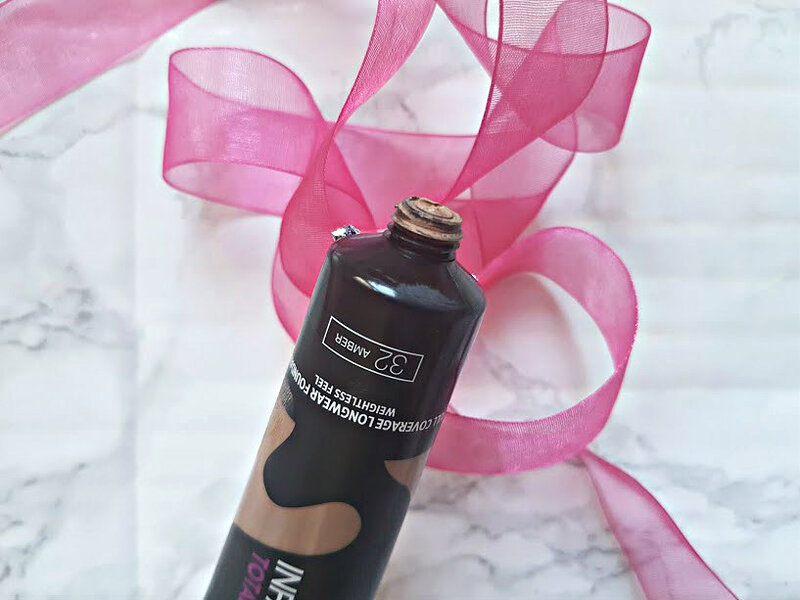 Through Ebay I managed to get my hands on the US version of the Infallible Pro-Matte foundation (full post) as well as the Pro-Glow (coming soon), but next on my list was their newest release the Infallible Total Cover. As per usual, the US had it first and then I saw on Kaushal's youtube that it was coming over here really soon, since then my eyes have been looking out for it. Last friday, on a random trip into Superdrug, I spotted them just as they were being put out! Of course, I bought one and just had to put it to the test because every video and post I have seen about it the opinions are very split. Some like it and some hate it, this is why I decided to do a first impressions to really get a feel for it and see what its like. Both instore and online 32 Amber is the darkest shade, I am really hoping they get more coming because that is not flexible for all. In UK however, we seemed to have completely skipped a foundation, what happened to Pro-Glow being released?! 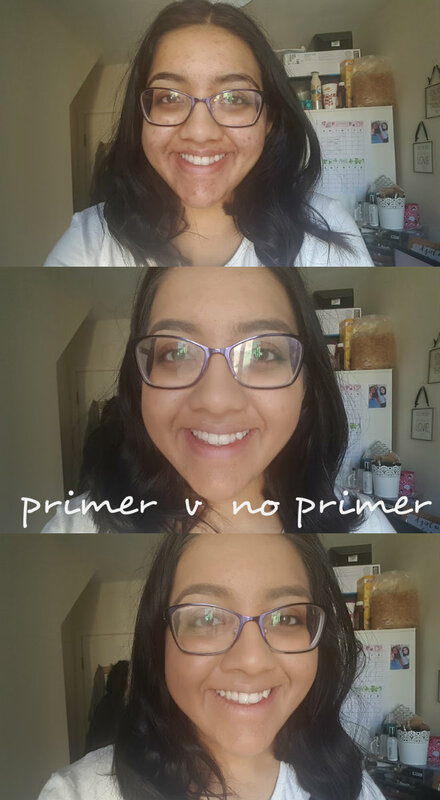 When foundation comes with a pump I love it because it makes applying a lot easier, but having a pump means glass bottle and being clumsy like me it isn't a good combination. Therefore, having a plastic tube for foundation is a lot easier to travel with, handle with care and you find yourself having more control than you would with a pump. This is thick, there's no nice way to put it. As soon as you squeeze it out on to your hand it can be seen how thick it is. 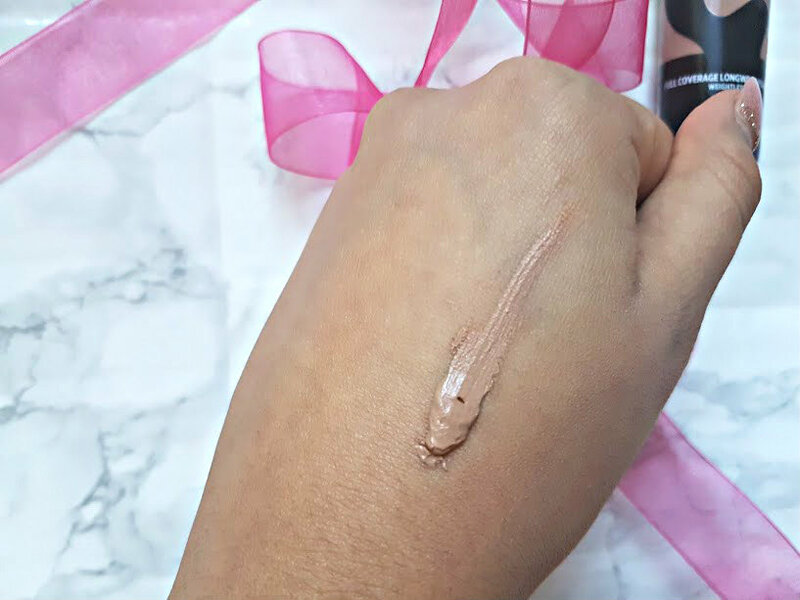 L'Oreal claim it to be a 'high coverage' hence the thickness but I've got foundations that are thinner in consistency yet still have full coverage - there seems to be no inbetween! As soon as I applied it on my skin and started to blend it remined me of Maybelline's Dream Matte Mousse (those were the days). The mousse like texture blends into the skin so easily and you only need the tiniest amount due to the thickness, other wise it will look horrible. It does dry down very quickly, so you have to apply and blend like crazy to avoid any patches. On the right hand side of my face I applied my usual primer on the other nothing, to see if its 24 hours and matte claims were true, I applied using a buffing brush because I don't think a sponge is quite right for this consistency. On both sides, it applied like a dream, mousse like, lightweight and infact the perfect match. After one thin layer (middle picture), I was pretty impressed. 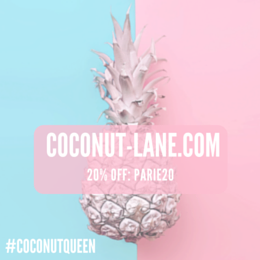 My skin looked flawless, the redness was covered and marks could not be seen from acne scarring. A few blemishes were still visible but that's what concealer is for. I then applied a second layer (bottom picture), as I do with every foundation and this time again it applied like butter, blended straight away but it didn't feel lightweight anymore. My face felt like it had foundation on, very sticky and almost wet? Yet it looked very matte and not a single mark could be seen, no shine and nothing had settled in to fine lines. On this particular day of testing, I had lots of emails to catch up on, university work to do and a trip to the supermarket on the agenda. 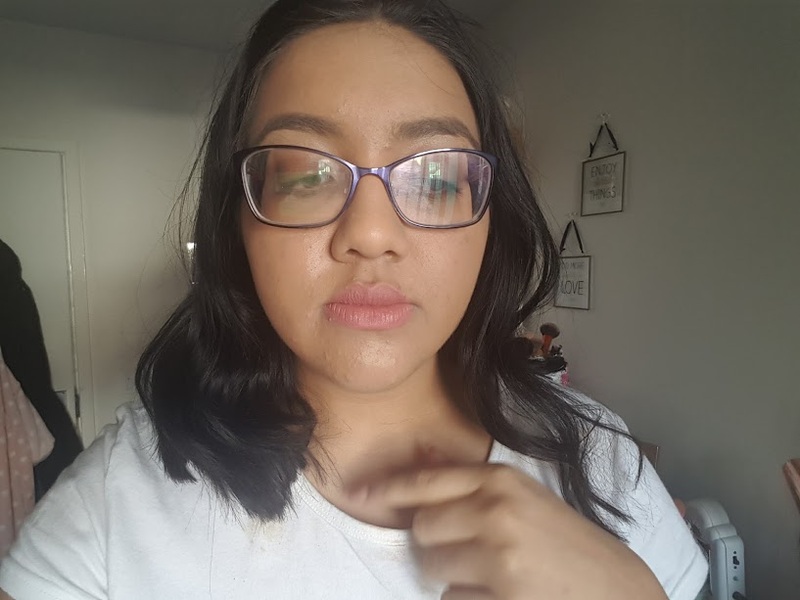 I didn't apply any other makeup apart from the primer on half my face and the foundation, there wasn't really a need for a full face - oh and lipstick of course! The foundation was applied at 9am and then checks were made through out the day. I didn't manage to photograph all the checks as I was out and about but a few I did manage to. 10am - Still looking pretty good, no shine to be seen but on the no primer sign you could see my pores very clearly. 12.35pm - Now lunchtime and the foundation is still going strong, it has settled around my nose but everywhere else was looking matte and flawless. 4pm - Wow, there was now a big difference. My face was so shiny, the foundation was still intact but it was shine central. L'Oreal claim this foundation is perfect for oily skin and lasts 24 hours however, after just 7 hours I was shiny as hell. It got to this point and I decided to powder the side with no primer on to see how it would look. 100% better, the shine had disappered and my skin was back to looking matte, well half a side was. 9pm - It's now got to the point in the day where I need to take my makeup off. The powder and no primer side (on the right due to images flipping) looks matte and still very much intact, apart from the creasing around the nose but the primer side (left) looks awful. There's so much shine! I still to need to test this foundation out more to see its full potential, but on first impressions I am very much on the fence. 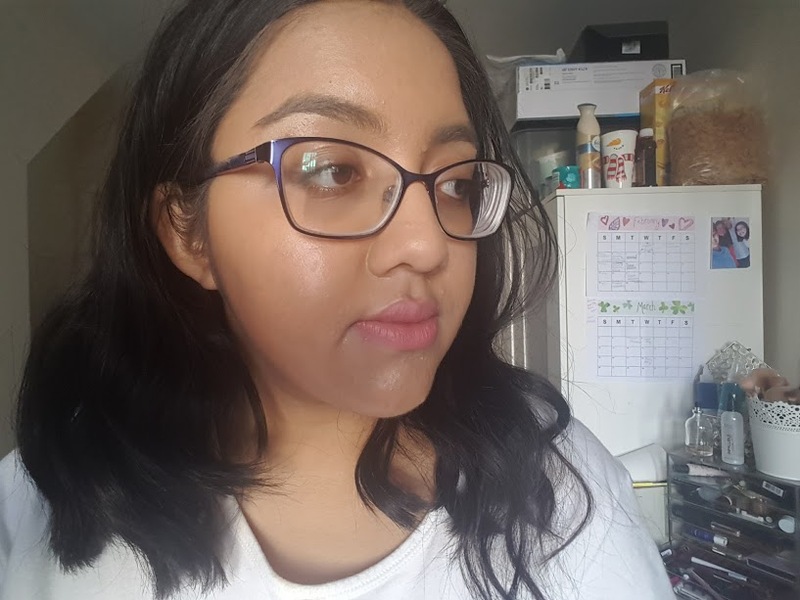 The coverage is definitely a winning point, everything is covered up and seamless but the shine issue for a foundation that claims to be ' for oily skin, matte and long lasting' is a huge disappointment. I'm going to keep using it these next few weeks, with different primers, powders and tools and see what works best. I am not giving up on it just yet! Also, please do excuse my hair its on its third day of being wavy/curly and was not playing ball. It is now available to buy for £9.99 at Superdrug Or £8.99 in Boots? !